Red Hat started as an enterprise Linux® provider. Now, we're a full-stack enterprise open source software company. How did we do it? The answer lies in the way we work. We're an open organization, and while it's helped us grow to meet market demands, it's also something our customers notice and value. An open organization values transparency, inclusivity, adaptability, collaboration, and community. Every company has its own culture, so no 2 open organizations look the same. I wasn't the person brought in to clean up the chaos, I was the person brought in to scale this more organic way of working. To put it simply, I was brought in to create the context for people to do their best work. 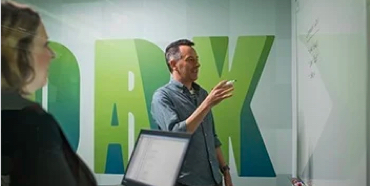 How does our open organization help customers succeed? Meetings at Red Hat can be quite lively. That's because Red Hatters always fight for what's best for our customers. We believe productive debates are a sign of passion and investment—and they often lead to better decisions for our business and, by extension, our customers. In more hierarchical companies, people in management positions make the decisions. As we grow and scale, we make sure that the people on the ground—the ones who deeply understand our customers' challenges—have a say in the strategic direction of Red Hat. Employees in open organizations are bound by a common purpose. For Red Hatters, it's to make sure open source continues to unlock the world's potential. People work at Red Hat because they believe in open source. This intrinsic passion offers an unmatched level of dedication and knowledge to our customers. Interested in becoming more open? Red Hat® Consulting's advisers analyze your organization's challenges and help you overcome them with comprehensive, cost-effective solutions. 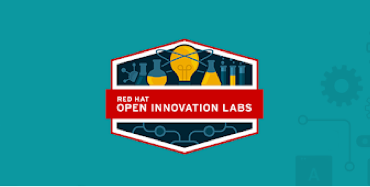 Open Innovation Labs is a highly focused 8-week residency, where 3 to 6 developers learn how to build applications the Red Hat Way. 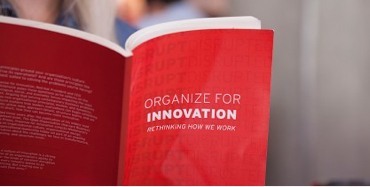 In his book, The Open Organization, Red Hat CEO Jim Whitehurst discusses how open principles can shape how we guide organizations. Red Hat is a top-100 company to work for in the U.S.
Based on our associates’ survey answers, Red Hat is No. 50 on Fortune magazine’s 2019 list of the 100 best companies to work for in the U.S.
What I like most about Red Hat is our open source culture, which guarantees the freedom of each individual. You can really make a difference. Tell us what you want to learn more about. We'll send you relevant emails, and not too often. Update your email preferences and contact details any time.